Comments: This is an excellent arborvitae that produces dense, evergreen scalelike leaves in flattened fronds. It produces an upright, pyramidal form and will grow quite tall when growing under favorable conditions. It can be used as a single specimen or in groups to form privacy hedges. 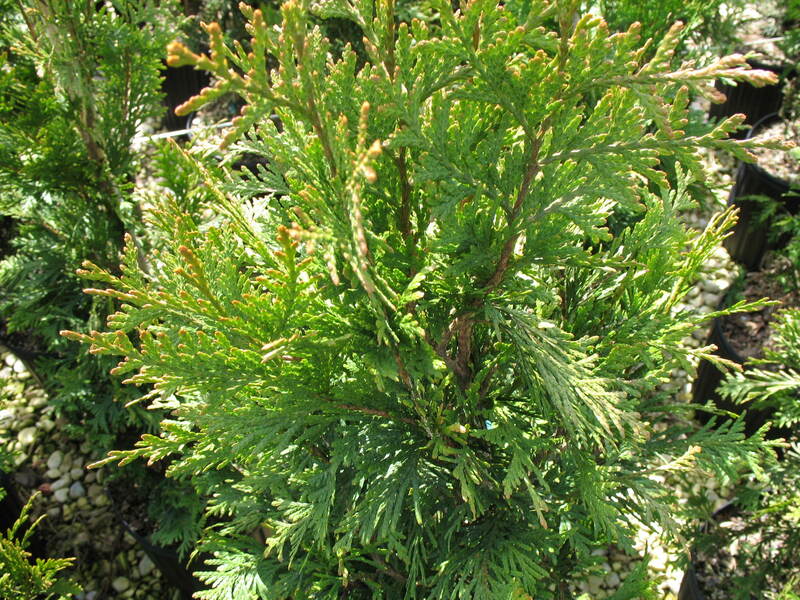 Provide full sunlight and very well drained soils for all arborvitae plants. They cannot tolerate wet soils and the very hot, humid conditions of the Lower South.